Truck Lab's mission is to provide an honest, quality experience for you and your family in the Front Range area. We aim to earn your trust and make the mechanic to consumer relationship a lifelong one. 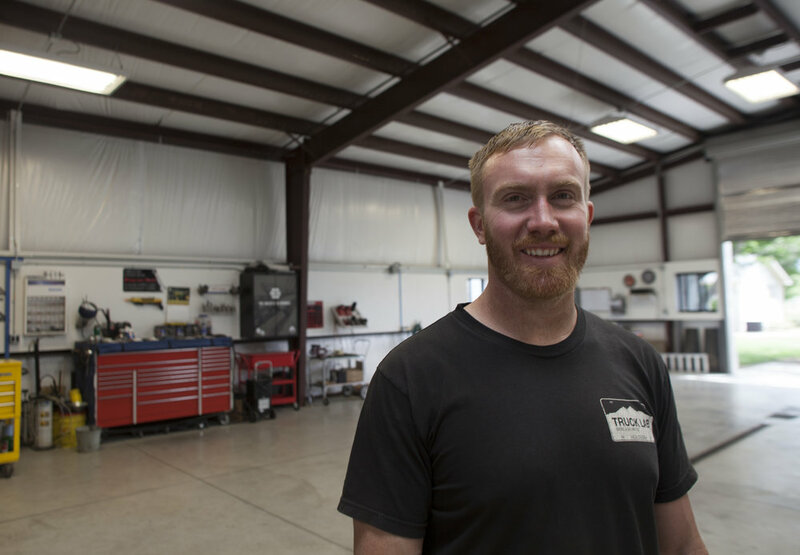 Truck Lab is an auto repair shop located in Berthoud, Colorado individually owned and operated by Tristan Barr. Tristan has been professionally diagnosing and repairing vehicles since January of 2007 specializing in diesel and 4x4. Truck Lab provides high-quality auto repair, customization and maintenance services to the citizens of Berthoud, Johnstown, Loveland, Fort Collins, Longmont, Boulder and surrounding areas. We even have customers traveling from Nebraska & Kansas for Truck Lab’s quality services! At Truck Lab, we have an honesty driven approach in the services and repairs performed by owner Tristan Barr. Truck Lab offers parts & labor warranty that backs all repairs and services performed at our shop. If you want an honest, thorough mechanic working on your vehicle - Tristan is your guy! Don't have a diesel or 4x4? Don't worry! Tristan can work on just about any vehicle out there - so give Truck Lab a call today and do something good for your vehicle! Feel free to call or send us an email from our website today! Detailing with Joe’s Detail Shop! Truck Lab thoroughly trusts and recommends Joe with Joe's Detail Shop, LLC for all of your detailing needs. If you are looking for someone who has impressive attention to detail & has the magical ability to turn your old warn down daily driver into the sparkling machine it once was, look no further! Joe is your guy! He is even mobile! No need to take your car anywhere, he can clean it up right in your driveway or in your office parking lot! Check out his website and schedule something good for your vehicle today!